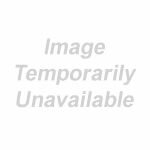 The Dell OptiPlex Micro Dual VESA Mount is designed to hide your OptiPlex 3020 or 9020 Micro PC behind a flexible, wall-mounted display arm (sold separately). This is ideal for collaborative work environments where users share a display and also a great choice for those who want the flexibility to stand while they work. Cabling is simplified by mounting the computer and monitor together the included power adaptor cover makes for an even cleaner workstation design. In addition to keeping your OptiPlex system out of view and allows the system to move and travel with the arm and display. Moreover, it gives OptiPlex users a customizable solution to fit their workflow without the hassle of wires running between the system and the display. 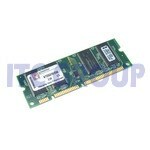 Latitude E6400 E6410/6500 6510 120Gb SATA HDD Module (Replaces ODD) with Toshiba MK1229GSGF drive. Note - These are ext capacity drives in there caddy that replace the hot swap optical ODD drive in Dell laptops as listed. New pulls - some marks to metal casing. Taken from new laptops specified with wrong drive size. Simply install Transfer MyPC v7 on both your old and new computers and go! Transfer MyPC v7 will determine which programs, files, and settings need to be moved, and when the transfer is complete, your new computer will have the personality and functionality of your old PC as well as all of its own pre-installed software. Works with almost any Microsoft Windows operating systems. Transfer MyPC v7 can migrate your PC across a network, Laplink USB cable, Windows Easy Transfer Cable or any type of removable media that can be read by both PCs. If your computer has multiple users, Transfer MyPC v7 gives you the option to transfer some or all of the users at once. The security information about file ownership and access control is preserved for each user. You can even use Transfer MyPC v7 to migrate your PC to an Intel-based Mac using VMware Fusion, Parallels or Bootcamp. With Transfer MyPC v7 your favorite programs, files, and settings will be on your new PC - in one easy move. Even a basic PC user can complete a migration using Transfer MyPC v7 - it's really that easy! Transfer MyPC v7 is built on Laplink, the best-selling migration technology in the world! Are you replacing your old PC? Relieve you from the drudgery of transferring essential data (e.g. documents, photos, personal settings and more) manually, which can take hours, even days. Safely back up the data on your new PC, so that it can be quickly and easily retrieved in the event of a hard drive or other system failure. Spare you the potential embarrassment of having confidential information, unscrupulously obtained from your discarded, old computer, coming back to haunt you. Moving to a new PC used to be a disagreeable, even daunting prospect; an experience often further exacerbated by the need to get up & running without delay on the new system. Fortunately, its much easier now with the Replace MyPC Suite. It includes everything you need to move across selected data & settings to your new PC, provide ongoing back up for it there, and then, wipe your old computer clean as a whistle. The result: peace of mind on the double! Your data is securely and continually backed up where you want it - on your new PC - and otherwise erased beyond retrieval - on your old PC. No need to give it a second thought before donating it or sending it off for recycling! 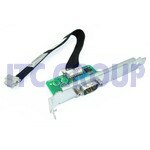 Dell FX160 Rear TFT mount bracket & counter balance kit. Full Dell FX160 Stand Mount Kit. Attach your Fx160 to the back of your TFT mount Inc cable tidy. This is a new OEM drive pulled from a new Dell system that was built with the incorrect drive installed. Original Dell Unit Not CLONE !! 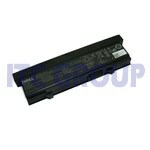 NOT A CLONE BATTERY WE ONLY SELL ORIGINAL DELL PARTS !! Factory Second - Rub marks to casing very difficult too see !!. The new COBALT Flex-head is a cost-effective solution to meet all of your future needs when securing multiple desktop or large devices including monitors, computers and printers among others. Simply slide as many COBALT Flex-Heads over your COBALT cable lock as desired for a cost effective alternative to purchasing additional cable locks. For use with CODi's COBALT cable locks. Each kit contains a flex head with 2 keys. The COBALT Flex-Head can be Master Keyed to match your existing CODi cable lock. Retail Price £24.99 + VAT !! The Dell OptiPlex Small Mini Tower Anti-Theft Security Kit is a custom-designed all-in-one locking solution to help protect the chassis and internal components while securing the monitor, keyboard, mouse or speaker cables. The locking unit can be looped or anchored to the desk. This is an excellent custom security solution. Loop-ended security cable can be used alone or with anchor plate. Installs in seconds! The Dell OptiPlex Anti-Theft Security Kit is a custom-designed all-in-one locking solution to help protect the chassis and internal components while securing the monitor, keyboard, mouse or speaker cables. The locking unit can be looped or anchored to the desk. This is an excellent custom security solution. Loop-ended security cable can be used alone or with anchor plate. Installs in seconds! IT MANAGER HAS CONTROL OF ALL EQUIPMENT AND DATA. 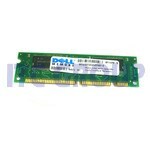 Dell Price £61 + VAT ! Welcome to the ITC Sales Big Clearance Corner – home to the kinds of bargains you simply will not find anywhere else! Here?s where you?ll find an extensive catalogue of cheap Dell laptop parts and spares, along with a range of ultra-low-priced second-hand laptop computers. Whether you’re looking to repair, upgrade or simply replace an existing system, chances are you?ll find exactly what you need right here. This is where you?ll find an ever-expanding range of miscellaneous bits and pieces for the most spectacular low prices, 365 days a year. All products listed are available in strictly limited numbers only and when they?re gone, they?re gone for good! As you never know what?s going to arrive in our Big Clearance Corner next, we advise checking back on a regular basis to see what?s new. When it comes to picking up quality hardware at almost unbelievable prices, it doesn?t get much better than this! For more information or to discuss an order, call the ITC Sales team today on 03333 222 200.